Will House Democrats bring Trump anti-Immigration Svengali Stephen Miller before them? 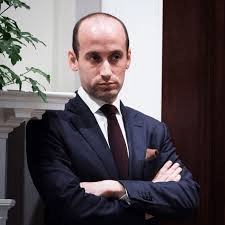 Trump has reportedly announced that Miller runs the immigration policy , even though his son-in-law is trying to work his own policy initiative …. We are subjected to crazy policy tries almost weekly …. Will Democrats bring him in for a grilling? While Cabinet officials routinely testify before Congress on budget and oversight matters, it is unusual for lawmakers to publicly question presidential advisers like Miller — particularly in an adversarial scenario. Presidents of both parties have declined to make their executive aides available to congressional committees, citing the constitutional separation of powers….